You don’t like comedy… you love it. That’s why you’re here, right? 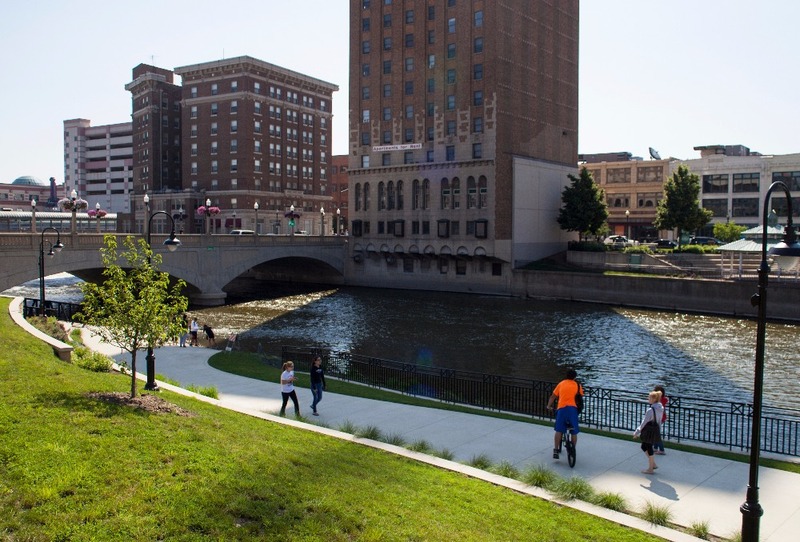 To find out about the comedy festival we’re bringing to Aurora, Illinois? Wait, you seriously haven’t heard that we’re working on building a comedy festival, right here in Aurora, that will put some of your favorite comedians at unique venues in downtown Aurora? Sounds like we’ve done a pretty good job of keeping this thing under wraps, but as of the moment you’re reading this, THE SECRET IS OUT. This is what we’re doing, and we need your help. WHO THE HECK ARE YOU THAT YOU THINK YOU CAN PUT ON A COMEDY FESTIVAL IN AURORA? Cool it, friend! The production team of the On The Fox Comedy Festival is a tight coalition of stand-up comics, producers, and civic boosters. We all love comedy almost as much as we love living and working in the City of Aurora, and we want to combine our passions by bringing some of our stand-up faves to our fave city. I WANT TO BE A PRODUCER. I HAD THIS IDEA A LONG TIME AGO, WHY DO YOU GET TO DO THIS? IT'S JUST NOT FAIR. Okay, first, please calm down, and then have a look at the perks. You can put your money where your mouth is and join the team as a named Executive Producer for the low cost of $500. You’ll get shout-outs in the program, and online, and we’ll even take you out for dinner. OKAY, FINE, I’M CHILL. SO WHAT’S YOUR BIG IDEA FOR THIS FESTIVAL? Affordable. We don’t want people to have to break the bank to attend the fest. High profile. Just because we’re not charging big city prices for an On The Fox Comedy Festival Pass doesn’t mean we can’t attract some of the finest talent working today. Read on to learn more about what we’re doing, how you can help, and how getting in early can get you some *EXCLUSIVE PERKS* for helping us launch what will be an event unlike anything Aurora has seen before. 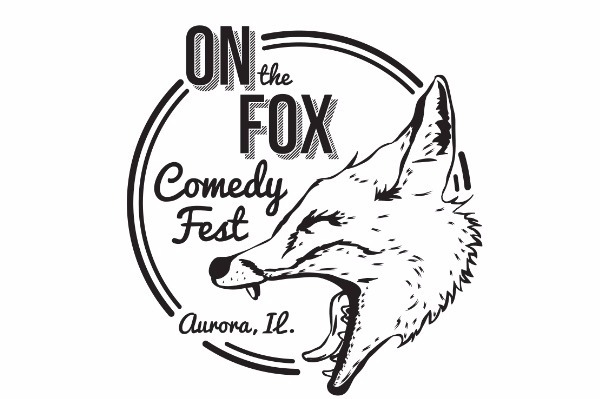 The On The Fox Comedy Festival is a comedy festival planned for Aurora, Illinois on September 28-29, 2018. We will bring an amazing collection of stand-up comedy shows and audiences to Downtown Aurora. Our producers include local stand-up comedians as well as people who live in Aurora and want to see the city host a fantastic event. You may be familiar with us from our weekly stand-up comedy showcase at Two Brothers Roundhouse, Still Not Friday. You can see our bios down below. Our goal is to crowdfund $5,000 within two weeks. This money will go directly to help us 1) contract nationally recognized comedians for the festival, 2) secure performance venues in Downtown Aurora, and 3) show donors and sponsors that an audience of comedy fans are hungry for a festival like ours to launch in Aurora. We each, like you, will be contributing to this campaign. Take a look at the perks. They’re good perks. Depending on the level of contribution you’re comfortable with, you’ll receive anywhere from our endless gratitude to weekend-long festival passes to a producer’s credit and more. Swag bags, giveaways, and VIP access to private events are also on offer. Give only what you can, and please spread the word. We will never forget your trust and generosity, no matter what level of support you can provide. Our gratitude will be ceaseless, persistent, and without end. It may get uncomfortable at times, but that’s a risk you must accept for being such a solid, beautiful human being. Let’s put the City of Aurora on the map. Okay, sure, it’s already on the map, but you know what we mean… like, really put it on the map as a city where you can count on seeing the world’s best comedians year after year at On The Fox Comedy Festival. Matt Drufke is a comedian, producer, and Aurora resident. He currently serves as co-producer of Still Not Friday, Aurora’s premiere weekly stand-up comedy showcase. Alec Stein is a comedian and writer from DeKalb County, just trying to make it in the big city (Lombard). He is a regular contributor to The Whiskey Journal and has been featured on both ABC and NBC. Alec enjoys long walks through scenic downtown Aurora and pandering to his target audience. Jack Baker is a comedian and writer from Warrenville—who has built a reputation for himself as a local heavyweight with his unique blend of intimate stories and subversive observation. Jack is a staple of comedy in and around Chicago, working for years as house emcee of Aurora’s own Comedy Shrine and producing A-OK Comedy in St. Charles. James Cardis is the Director of Marketing at the Aurora Area Convention & Visitors Bureau, an organization based in Aurora, the second biggest city in Illinois, that dynamically promotes the ten communities of the Aurora Area (Aurora, Batavia, Big Rock, Hinckley, Montgomery, North Aurora, Plano, Sandwich, Sugar Grove, and Yorkville) as an outstanding destination for groups, events, and leisure travelers. Since our gofundme back in November, we’ve been working to set up our infrastructure and have begun laying the groundwork to make sure that this festival is everything we promised you. And we want to make sure we’re doing it right. Because of that, we’re delaying the festival release until 2019. We’re working hard to get all of our comedians, venues, and sponsors lined up perfectly. And we feel the best thing for the festival is for us to push it back and make sure that every piece is going to fit into place perfectly. We apologize for the delay. We know you were hoping to see a great festival in September, and we’re sorry we have to ask you to wait a little longer. If you have any questions or comments, please e-mail us at info@onthefoxfest.com and get back to you as soon as we can. Please keep paying attention to our Facebook/Twitter/Instagram feeds. As we move on, we’re striving for 100% transparency and will be showing you everything we’re doing and explain why we’re doing it. 11/3 update: We're halfway there! We had a great day on Wednesday. Let's hear about it. Hey guys! We're over 20% of our goal. I give out some thanks while eating candy corn! Donating $5 will get you a shout-out on our social media platforms! Impress your friends by showing them the nice things we say about you. Donating $20 will get you promotional gifts as a token of our appreciation. Plus, a social media shout-out! $50 gets you all of the joys of the smaller packages plus some cool festival clothing. Never go naked again! What does a Festival Hero get? For $100, all of the items from the lower tiers & tickets to a festival show of your choice, and we'll retweet you for a week. Wow, we're super-grateful. Let us give you everything from the lower tiers *plus* VIP access to special festival after-parties on both nights. You rock. Can we hug? You get everything on our lower tiers, festival passes for every show, plus special merch AND an EP credit in our program.